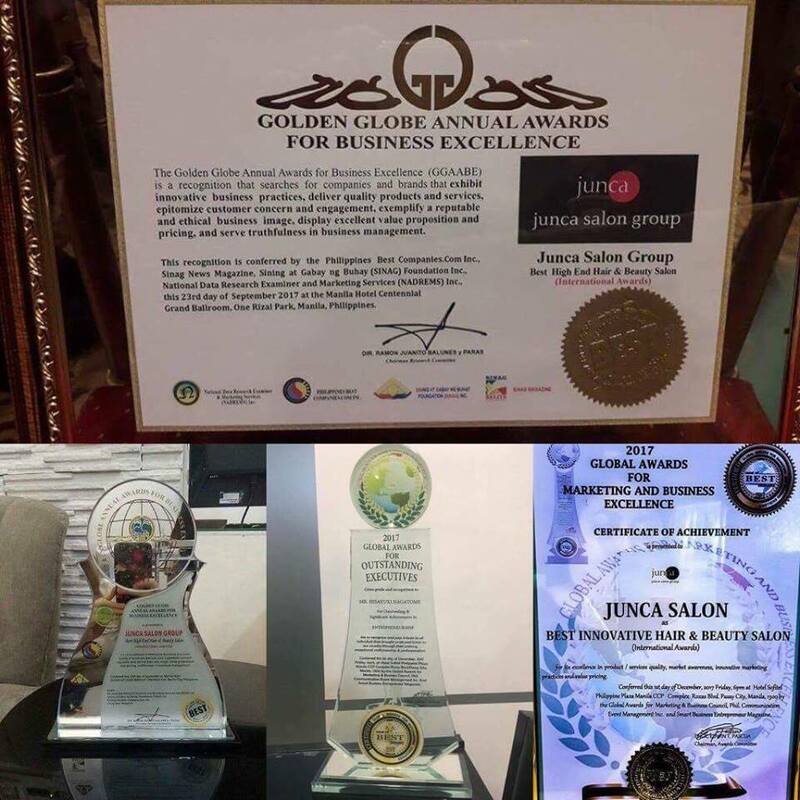 Thank You again Ms. Annie for again Beauty Label By Junca @ Cityland Pasong Tamo tower Branch!!! 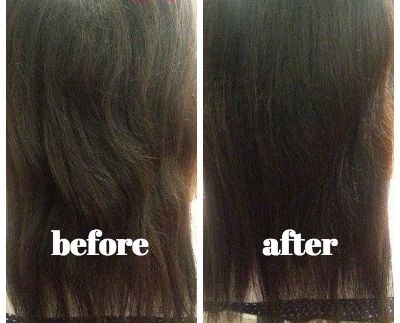 See what happened! 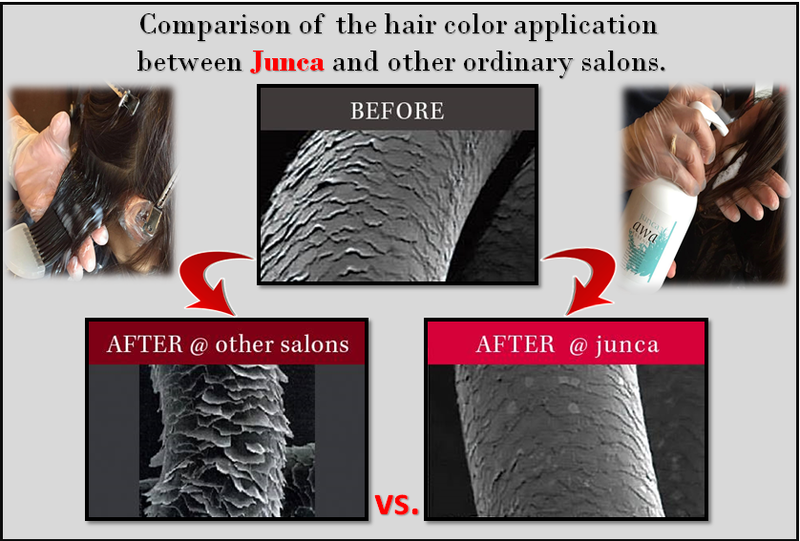 We put color on her damaged hair while applying Platinum essence to cure the hair by Hydrogen mist and junca’s original product “junca awa” essence! 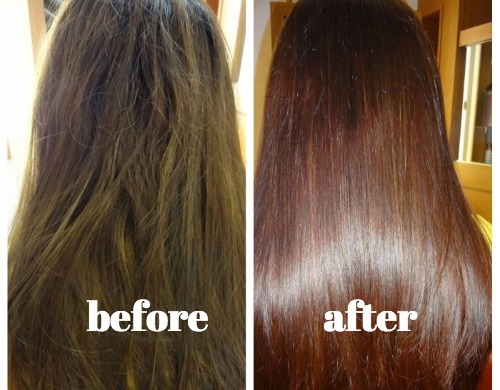 We always take care of our clients hair well using our way of hair care. 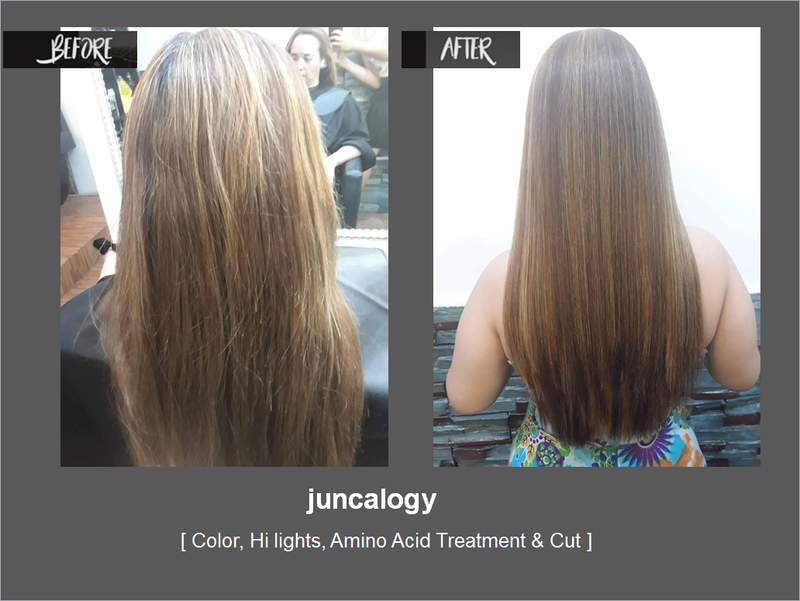 ” JuncaLogy ” is our own philosophy which aims to make people healthy and beautiful! We maximize the quality of our service by combining our products and techniques.